Foodborne illness linked to contaminated produce is a public health concern. The Food Safety Modernization Act (FSMA), signed into law in 2011, established a risk-based approach to regulating food safety. 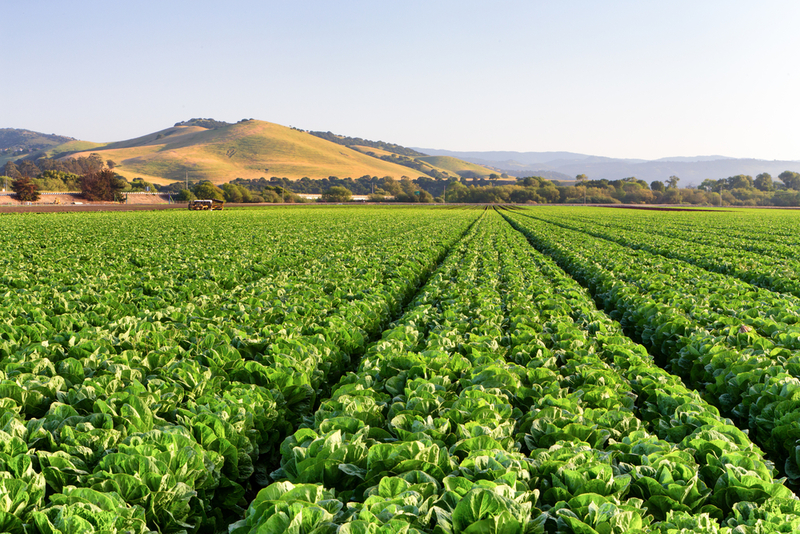 For the first time, the U.S. Food and Drug Administration (FDA) will regulate on-farm food safety practices related to microbial contamination across the wide range of heterogeneous produce firms. While the law will establish over 50 regulations, reports, and studies, the “Standards for Growing, Harvesting, Packing, and Holding of Produce for Human Consumption,” commonly known as the Produce Rule (PR), is the most important for farm-level operations. FDA released the final PR in late 2015. Economic information on the costs growers will incur under the PR is scarce. The experience of existing commodity-specific food safety programs may provide insight into what the PR will mean for the produce industry. 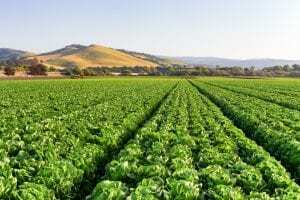 This study focuses on interviews with seven California leafy greens firms since that industry has had a food safety program since 2007, the California Leafy Greens Marketing Agreement (LGMA), formally known as the California Leafy Green Products Handler Agreement. The LGMA is a voluntary program that requires members to implement a set of food safety practices, with an independent system to verify compliance. The interviews provide a snapshot of food safety practices and costs in 2012 for a sector of the produce industry that already had a strong microbial food safety program in place. While the LGMA and the PR cover the same major categories of risk and many of the requirements are similar, LGMA is generally more demanding with respect to practices. Since the number of firms included in the study is small, this research is a case study and not a comprehensive representation of the industry. The case study firms all followed the LGMA food safety requirements. Firms also adopted additional practices for their own risk management, convenience, and/or to satisfy buyer demands. The interviews revealed that food safety costs are very difficult to measure; not every firm could provide complete responses. Only costs for some food safety practices could be measured: those for food safety staff, harvest foremen, third-party audits, product lost due to animal intrusion, and water testing. We present these costs as shares of the five measurable food safety costs per firm. The largest of these five cost shares was for workers implementing the food safety plan: 38 percent for the food safety staff (including the clerical staff) and 32 percent for the time that harvest foremen spent on food safety tasks. The LGMA and the PR both require that an operation has at least one person in charge of food safety for the firm. The LGMA does not specify a role for harvest foremen but now they are major players in the food safety program, overseeing the plan during harvest, a critical time when produce can become contaminated. Harvest foremen spent almost one-fourth of their time on food safety tasks. Third-party audits were a big expense for the firms in the study. LGMA requires only an LGMA audit, but all the firms interviewed also used other commercial audits. The audits accounted for 17 percent of the costs the study authors could measure, with LGMA audits making up 11 percent and other commercial audits 6 percent. The PR recommends but does not require, a third-party audit, but major buyers are likely to demand such audits. Therefore, the cost-share of audits for firms under the PR could be similar to the commercial audits incurred by LGMA members. Both the LGMA and the PR emphasize the importance of field inspections to look for evidence of animal intrusion. LGMA, but not the PR, specifies exactly how much area should be marked off around evidence of animal intrusion and not harvested. Total lost-product costs were 11 percent of measured costs. Under the PR, cost shares may be smaller. Water testing made up only 2 percent of measured costs. The LGMA requires monthly water testing for all water used in the fields unless a firm qualifies for an exemption. Under the LGMA, firms test all water used in the fields for evidence of generic Escherichia coli (E. coli). In contrast, the PR requires water testing only for field water sources that are likely to touch the plant. Although the PR water requirements should cost less than those of the LGMA, buyers may require more testing than the minimum required under the rule. This case study is based on interviews and very limited follow-up correspondence with seven California grower/ shippers who belonged to the LGMA in 2012. The interviews complied with the Office of Management and Budget rules that require clearance only for surveys of more than nine people. The project began with informal conversations with industry representatives, extension agents, and others; this background helped us develop the written survey. Firms in the case study then filled out the detailed survey. After reviewing the survey results, we led a 2-hour conference call with each firm to talk about the data and the interpretation of the information provided. These conversations resulted in additional insight into why firms were doing certain activities and some of the challenges of measuring food safety costs. Read the entire Food Safety Practices and Costs Under the California Leafy Greens Marketing Agreement report.